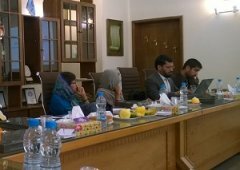 The Shahid Rajaee Teacher Training University Tehran (SRTTU), a member of the UNEVOC Network since 2006, conducted two technical teacher training programmes on Industrial Hydraulics and Pumps, and the Production & Processing of Geospatial Information. 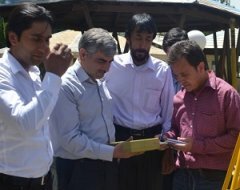 The programmes aimed at building the capacities of teachers who are already engaged in these vocational and technical fields, and equip them with the skills necessary to promote and enhance their teaching techniques. Establishing linkages within the community to ensure that subsequent exchange of information and knowledge between the institutions represented by the participants continues. One of the outcomes of the capacity development programme was the promotion of knowledge and skills-enhancement of the trainees, such that they can relay them in their institutions of learning while also ensuring the responsiveness of these skills and knowledge, to regional and local dynamics. Identify the potential activities in which the regional UNEVOC Centres could engage with other Network members from the South Asian cluster, and/or beyond. The meeting included a briefing to the network members on TVET in the backdrop of the SDGs, as well as apprising them on recent UNESCO-UNEVOC network operations. In addition, the meeting also provided a platform to the network members in the sub-region to share their views and also discuss possibilities of deeper engagement within and beyond the UNEVOC Network.